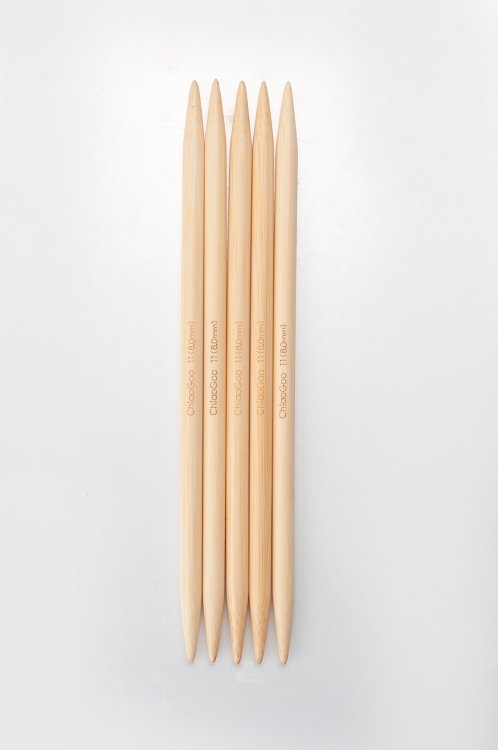 Natural and dark patina bamboo double point needles with size permanently laser marked on the needles. Great length for test swatches for correct gauge or narrow scarves. As a well-known designer and instructor often states, use the shortest needle possible. Especially in the larger needle sizes, these 8" DPNs fit the bill. Obviously, only use two of the five, but not an issue for me. 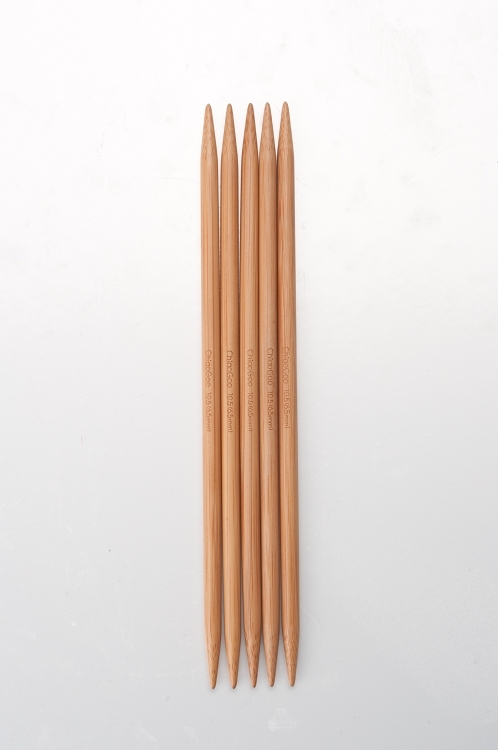 I really like the 7" SP ChiaoGoo Bamboo needles but they don't come in the larger needle sizes, so these 8" DPNs make it happen! Handsome Fibers=great company with excellent customer service! Unfortunately they don't in the 8 inch bamboo dpns, sorry about that.